Going Out of Town? Try Dog Boarding! While you might love your dog with all your heart, there are times when they cannot travel with you when you leave. 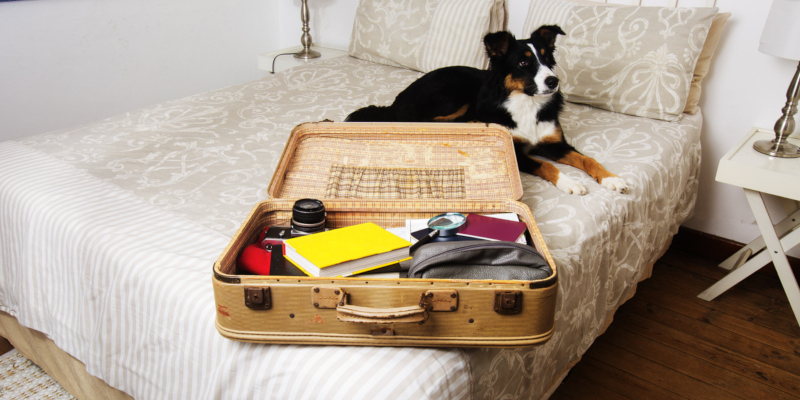 Whether it’s on a cross-country trip or you simply need the flexibility of traveling without your beloved pet, you need viable and safe options for when your pet can’t travel with you. There are some people who can leave their pet with smart devices, such as pet-feeding timers, interactive video and doors to the outside, but for extended stays, there are many reasons why dog boarding is your best bet. First, you can feel comfortable that there will be someone available should your dog have a problem. While you can generally trust a dog to take care of themselves, there are times when they may be hurt or injured, need medical attention, or just want the company that boarding offers. Second, dog boarding is great for socialization. Not only does it get your dog comfortable with different environments, but it can also help make them comfortable around other dogs and people as well. Third, it is more mentally stimulating for your dog to be around people and animals dog boarding offers. This is especially helpful for dogs who turn to chewing or destruction when they are bored. Finally, dog boarding offers a habitat of safety that you might not get with a dog sitter at your home. Dog boarding is meant to contain all types of dogs, be they jumpers, diggers, or somewhere in between. If you have a dog that loves to roam, dog boarding gives them the safest option. For information about the dog boarding service that we have here at Dogs By Andy K-9 Services, please give us a call. We would love to tell you more about our services.